Monitor gases directly under the slab of buildings to determine the potential for intrusion into the indoor environment. 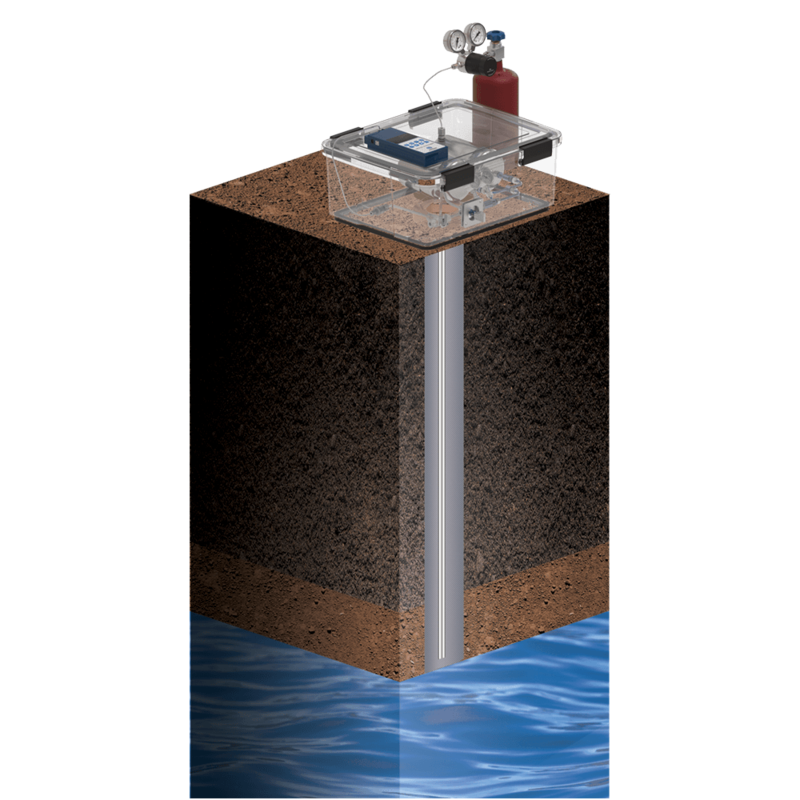 A vacuum tight seal is made through the building’s foundation, with a unique “triple seal” using two O-rings and a water dam that ensures that only gases from beneath the slab will be drawn into the sample train and canister. After sampling, the slab face sealing fitting is removed allowing a temporary plug to be installed. Chameleon Soil Gas Sampler shown with Entech Slab-TightTM Sampler. 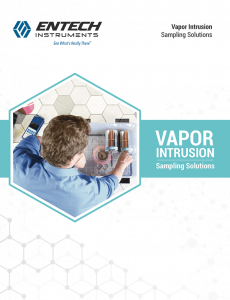 Simple, reliable, gas-tight connections ensure proper sampling Chameleon is sent to the field under vacuum, to prove the entire sample train is leak-tight while also preventing contamination during shipping. 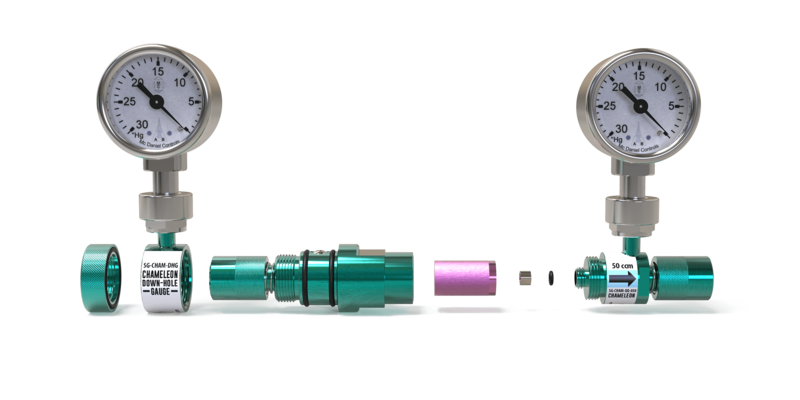 Entech provides 1800 psig He cylinders with a regulator, operated at 2-200 psi, to complete the all-in-one sampling solution. 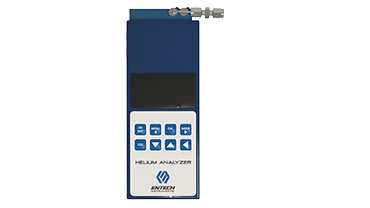 The Entech He / O2 analyzer is a precision instrument for measuring the concentration of oxygen and helium in the tracer gas shroud. The analyzer is characterized by high accuracy and reliability thanks to innovative measurement techniques. The technology works by measuring the speed of sound, thus there is never a need to change the helium sensor. 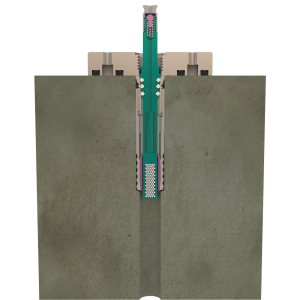 Entech’s unique Slab-TightTM sub-slab sampler eliminates interferences created by grout and other slab sealing materials. Grout may contain contaminants that can positively bias the results. Added Down-hole moisture from the grout may affect the solid/liquid/gas phase equilibrium. 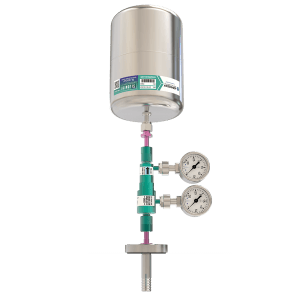 The Entech Slab-Tight sub-slab sampler makes a mechanical connection and seals with no chance of contaminating the collected soil gas. 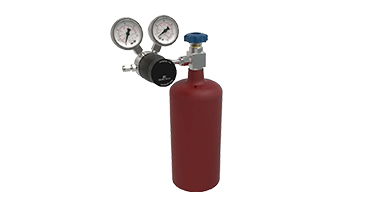 Tracer Gas Shroud for butane or helium leak checking is available. The inexpensive shroud can be reused over and over with clean evacuated sampling trains that are shipped directly from the lab and snap right in! The sample trains are sent under vacuum, therefore just a quick glance at the gauge is all it takes to satisfy the field shut-in test.